This series of institutional biosafety certifications represents the required training and authorization required to handle, transport and display biohazardous materials. These certifications are also required for the establishment of the Biosafety Level II lab that is The Ossificatorium, under the supervision of the artist who serves as Principal Investigator. 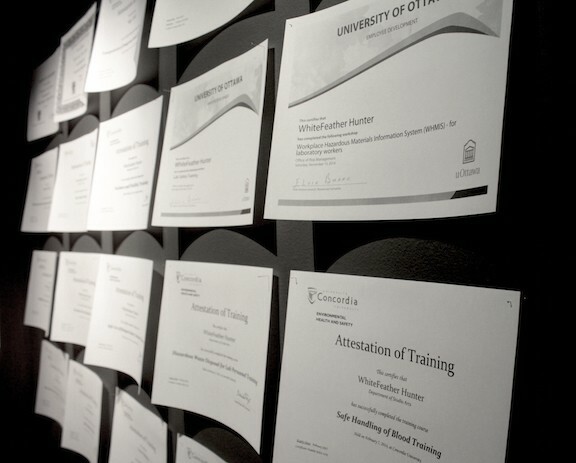 Like a biomedical spaces, or other areas of professional specialization, the certificates must be displayed in order to assure visitors that standards have been met.